According to the page that came with this month's chapter of Genshiken, Genshiken volume 10 is being released on May 23rd. Not Genshiken Nidaime 1, Genshiken 10. Ahaha. Also, the "short-term limited run" of Nidaime's been officially changed to a normal run. It's continuing! 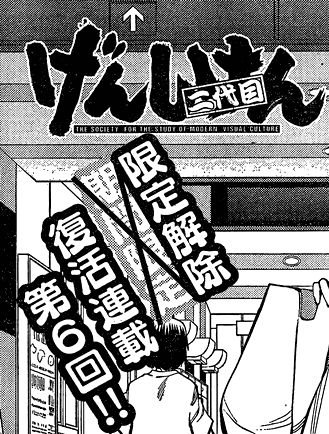 As for the scanlation, well, I'll try to get it out as fast as I can. It's words words words and lots of stroked text, though, so it might take a while. that's GREAT !!!!!! that's really a great news !!!!!!!!! You made my day, sir. Oh, golly. That's some good news up there. But this also means that I've got to keep working on this till I die :lol: Let's just hope Kio doesn't get stuck up on the Hato storyline too much. And I really, REALLY would like to see some development on Yoshitake (my favourite among the newcomers), for it would be too cheap if she was just taking Madarame's place (we even don't know her first name yet!). Oh, looks like I forgot to introduce myself: I'm an Italian scanlator who happens to love Genshiken (I'm translating it into Italian from the Japanese raws). As a translator myself, I really appreciate your dedication on this great manga. Besides, I'm glad to notice that you spotted the same mistakes I did, in MS's translation. God, I LOL'd so hard. Well, that's it. If you agree, I'll be delighted to discuss about Genshiken and translation with you. Keep up the good work, mate! Wait, does this mean that Nidaime is now not a separate sequel (tome 1, chapter 1), but a ongoing chapter for old Genshiken (tome 10, chapter 1)?